Peace. Recharge. Coffee from Bacchi. Rich flavor, delicious aroma. Pure indulgence. A different coffee. A coffee brand that enbiun developed for Black Espresso Services. 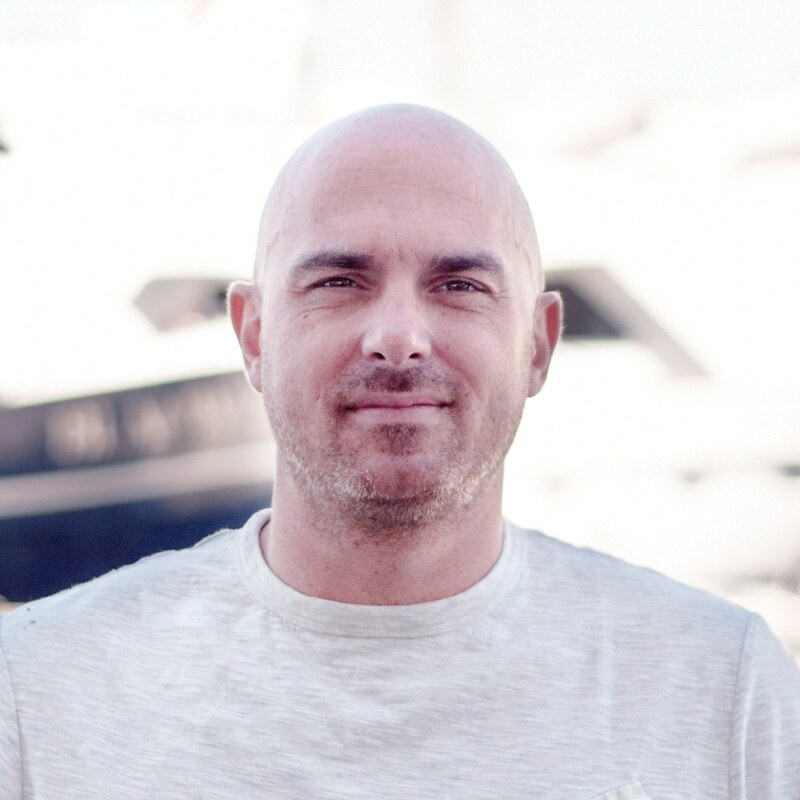 Goal: to build a strong and distinctive brand that is like nothing else and second to none. 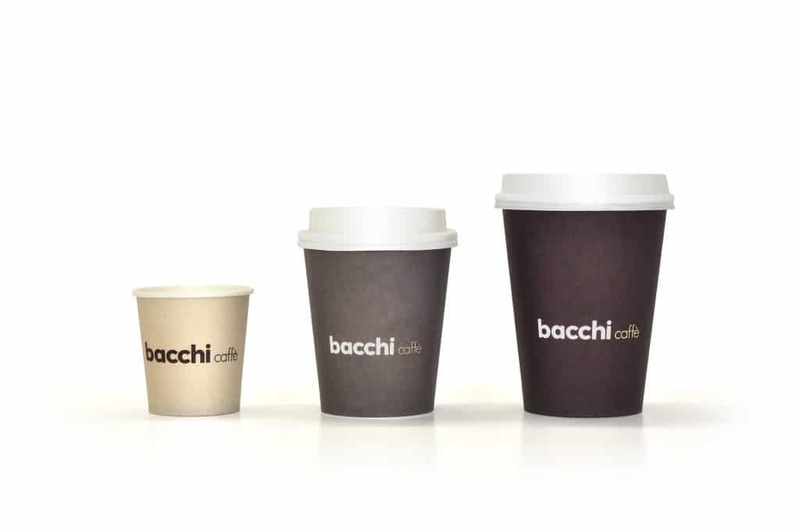 Bacchi playfully refers to both ‘kiss’ in Italian and ‘bakkie’ in Dutch (a common term referring to a cup of coffee). 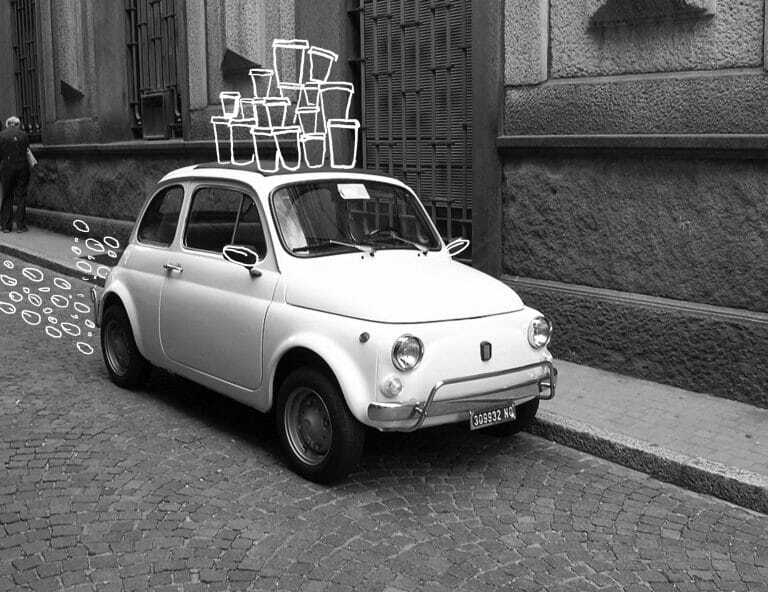 After establishing the conceptual brand, enbiun developed a complete communication line and modules. 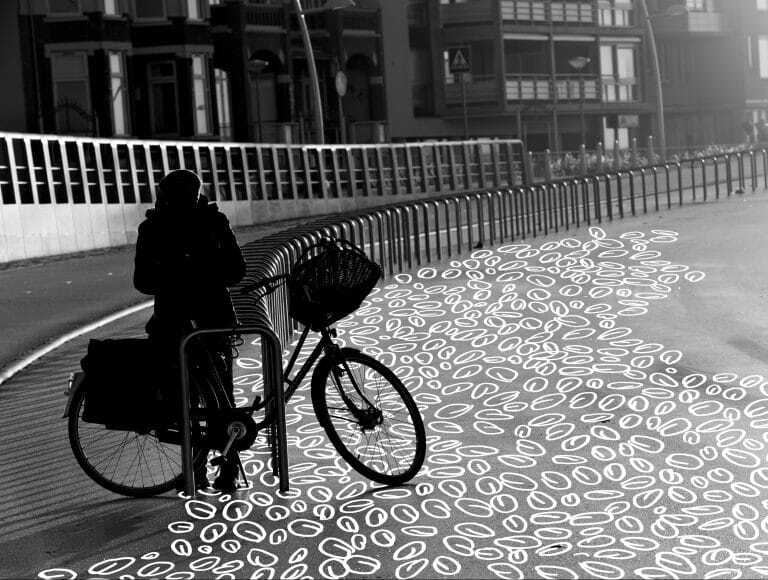 These are visualized using rich black and white photography, combined with illustrations. This creates the possibility for each and every ‘Bacchi’ moment to be expressed. 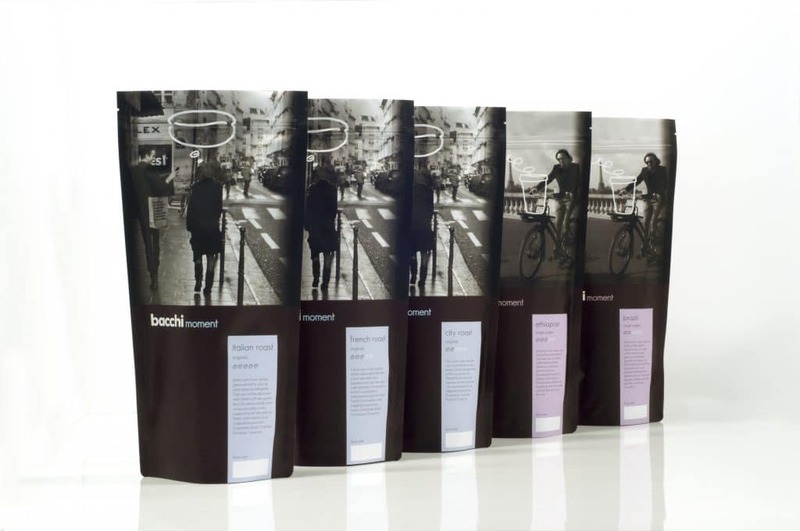 From packaging to paper cups, and from website to coffee bar. 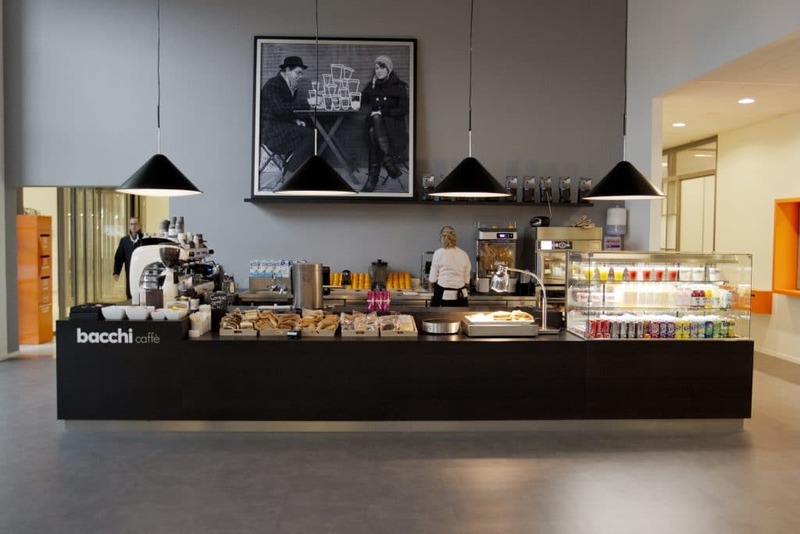 We developed a modular system for both food service, as well as for the catering and facility management market. A system that fits perfectly within the Bacchi image. 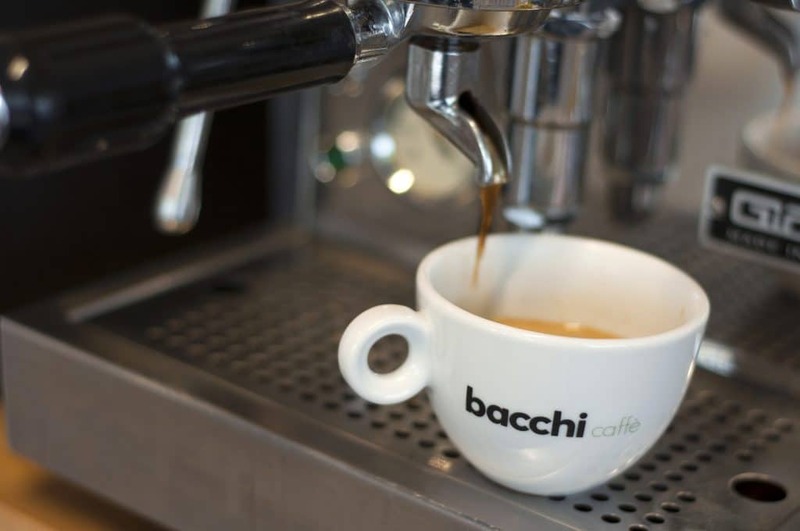 Bacchi coffee can now be enjoyed at more than 195 locations in the Netherlands, including SNS REAAL in Utrecht, the new ING headquarters in Amsterdam, and many fine food and coffee establishments in the larger cities of the Netherlands. enbiun is still involved as partner of Bacchi and provides all graphic work for clients and at events. 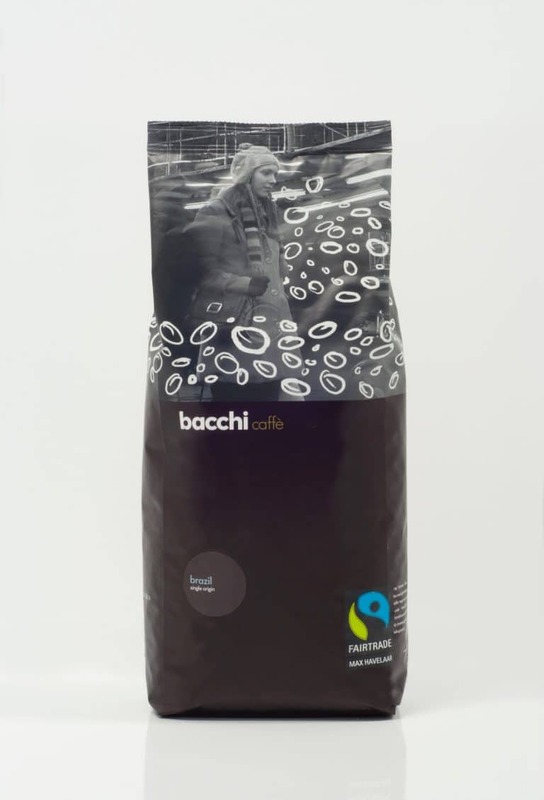 There is also Bacchi retail line of packaged coffee per 300 grams. These are available at a variety of coffee retailers and also online at bacchi.nl. Recently we developed a new Bacchi line: Bacchi origins. A diverse array of single origin coffees with outspoken flavors. For those coffee lovers who enjoy exceptional and exclusive coffees.